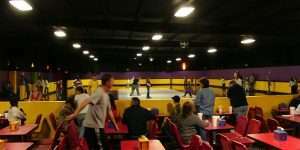 Gray8Skate is located on Gray Highway in Gray, GA, conveniently located just outside Macon, GA.
We offer inline skating and roller skating fun for everyone. We provide loads of fun for all ages. 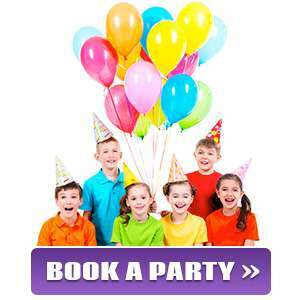 We have private party rooms available for birthday and team parties, have both roller skates & inline skates available for rent, a 14 game arcade and a snack bar. Church groups & Daycares are welcome at discounted rates. We have good quality rental skates in a couple of different styles to suit your needs. If you prefer the racier feel of zipping around the rink on inline skates, we have got just what you need. Or, if you prefer to take a step back in time and roll old school style, our roller skates that are sure to bring back the memories of the olden days. At Gray-8-Skate, we also have inline skate and quad skate parts and accessories. 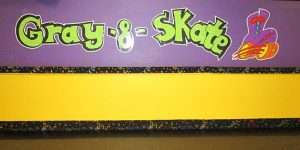 *Person's entering Gray-8-Skate assumes ALL risk regarding accidents and injury. Georgia is a skate at your own risk state.